This is my “Vignette” also known as a grouping or table scape. It’s a collection of some of your favorite pieces grouped together on a shelf, coffee table, counter etc. 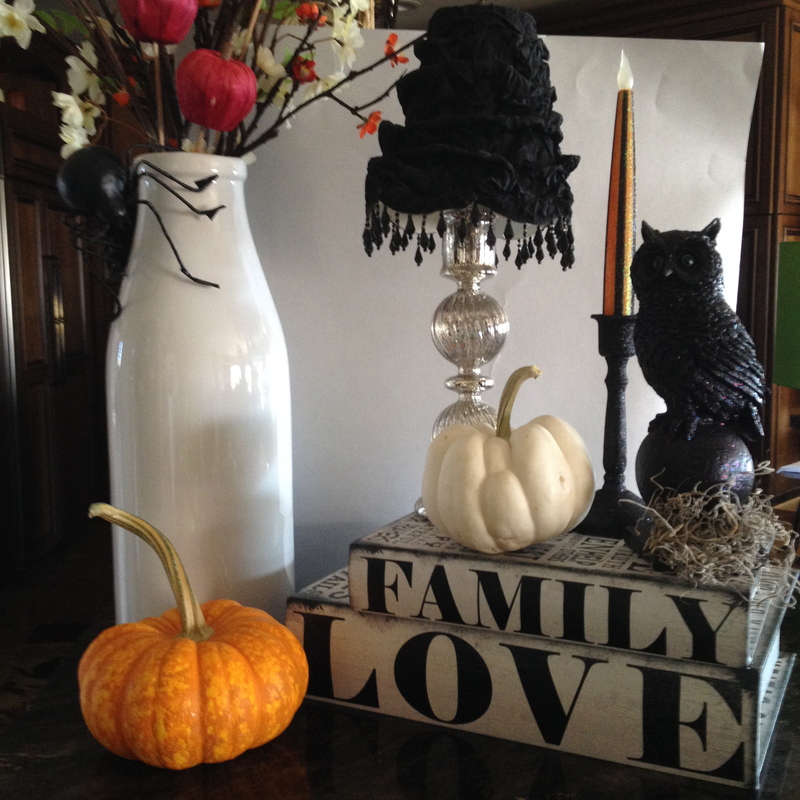 Fun to create by picking a theme, rummaging thru your house to find items that will play well together and pulling it all together. So I recently learned the correct term for this is a “Vignette” as the designers call it. Ok whatever. I do know this, that there is a correct way to do one or “ITS JUST NOT RIGHT” We have all made one of those. Here is what I pulled together for my Vignette. I am proud of it and it makes me smile when I pass by. There is stuff in there from Target to O’Flanary’s Emporium and Hobby Lobby and who knows where else. I only put the poster board behind it so the picture would stand out. Excuse yourself Mr. Poster Board! Below is an informative site that explains all about Vignette’s and how to’s.